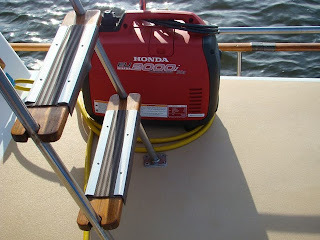 One of the pieces of equipment on our to do list is a generator. 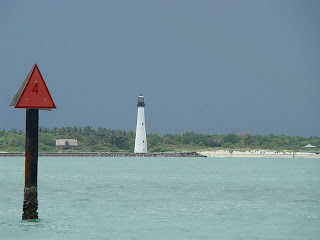 We much prefer to anchor out when cruising and at times we can get weathered in for days. During those extended stays we still like coffee in the morning, still have the need to recharge the batteries and like to watch TV. All of this uses power and we have been using our handy Honda 2000 portable generator until we can have a more permanent installation. The Honda will handle most of our power needs, with the exception of the air conditioning system. But that suits us just fine for now. One of the things I don't like to do is to fill the built in tank every day when the generator is in constant use and for long term when charging that batteries it might mean shutting the generator down, filling the fuel tank, and starting it again. 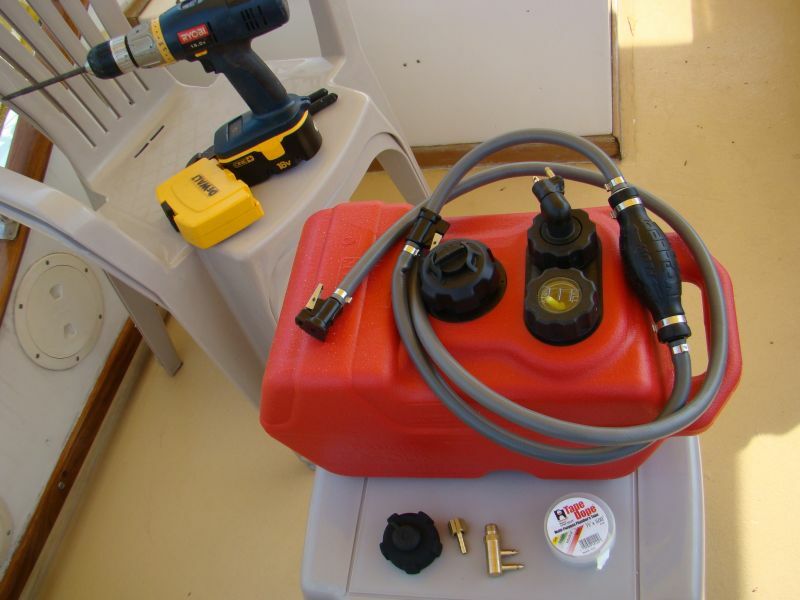 It is also hard to fill the tank without spilling gas on the deck, especially if the boats gets waked. So, the need for a remote extended fuel tank. To build one of these only takes a few inexpensive fittings, a fuel tank and about an hour of your time, at the most. Susan and I have both given our two weeks notice to Waterway Guide. Our time working there was always to be limited since we knew we wanted to get back on the water and do some cruising again. And that is just what we intend to do. We have always said our plans are written in the sand at low tide. Beach House is not completely ready, but what boat ever is? 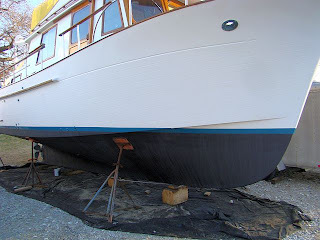 We have finished a number of projects and feel we can comfortably get back on the water and finish what needs to be done while enjoying the cruising life once again. And what is cruising if not repairing your boat in exotic places? We have a few posts planned for the next couple of weeks. We just finished a presentation at the Marine Trawlers Owners Association Southern Rendezvous in Stuart, Florida. The presentation was on cruising the Bahamas and maybe that is what gave us the itch again. I plan to do a complete post on the presentation; I am working on it now. And, we are making a remote extended fuel tank for our Honda Generator to hold us over until the permanent genset is installed. I will post the how-to on that as soon as it is finished. Then, look for our cruising posts once again. I can't put into words how excited we are to be back out there and underway instead of tied to a dock and a desk. We look forward to some new cruising experiences and revisiting some of our favorite areas. We are going to start posting some different information other than what we have in the past, although that will be included. We will be adding some new stuff and maybe more in the way of videos. I think it is really going to be interesting, so do come back and check in from time to time. 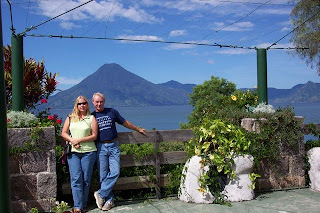 And Susan and I are working on a very special project that we feel will be a real plus for our fellow boaters. So lots of good things are happening, and if you see our yellow bimini out on the waters near you, give us a big wave or even better yet, a shout on the VHF. We look forward to seeing you all out there soon. Soooooo much is going on right now that we sometimes wonder when we will ever get anything done. But the biggest project right now is over, and that is getting the boat splashed and settling back aboard. The new bottom paint and boot stripe look great and we have received some positive comments around the yard on the changes and how great the paint turned out. Getting splashed is just the beginning for us this next week or so.